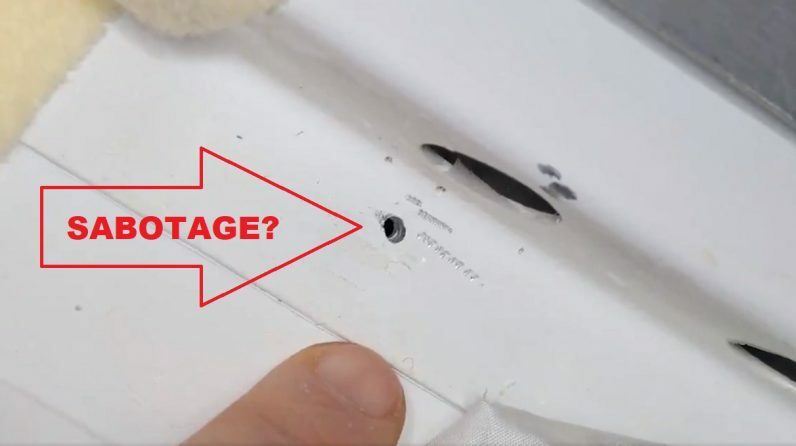 Russian space chief Dmitry Rogozin yesterday said a leak found aboard a vehicle docked with the International Space Station (ISS) last week was almost certainly caused by a person with a drill. Investigators are now scrambling to determine whether the sabotage occurred while the vehicle was in space. We are considering all the theories. The one about a meteorite impact has been rejected because the spaceship’s hull was evidently impacted from inside. However it is too early to say definitely what happened. But, it seems to be done by a faltering hand… it is a technological error by a specialist. It was done by a human hand – there are traces of a drill sliding along the surface. We don’t reject any theories. Rogozin has vowed to determine whether the damage was caused by a person on Earth, prior to the craft’s launch in June, or if it occurred in space during transit from Earth or after coupling with the ISS. We’re all human, and anyone might want to go home, but this method is really low. If a cosmonaut pulled this strange stunt—and that can’t ruled out— it’s really bad. I wish to God that this is a production defect, although that’s very sad, too—there’s been nothing like this in the history of Soyuz ships. The damage, initially discovered late Thursday when ISS alarms indicated a drop in air pressure, has since been temporarily repaired with patches that appear to be holding.